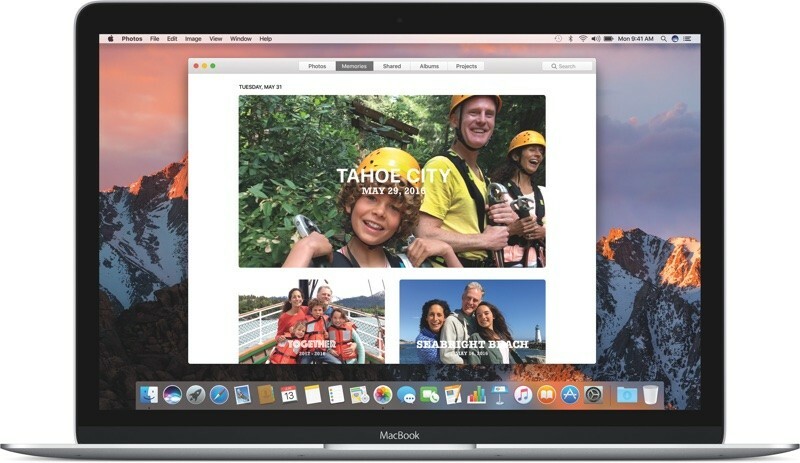 One of the simpler updates arriving in macOS Sierra is an overhauled experience for both Photos and Messages, bringing each app closer to their newly-updated iOS 10 counterparts. 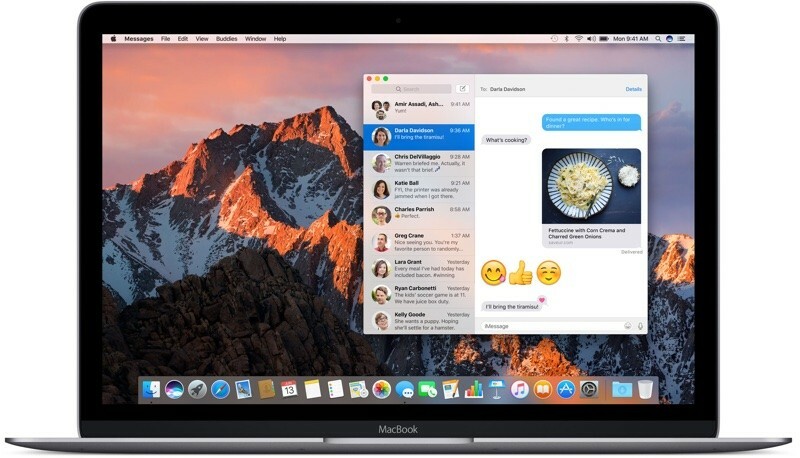 For Messages, that means users will now be able to use the Mac version of the app to send and receive rich links and Tapback messages, along with larger emoji characters when three or fewer are sent in a message. Otherwise, Messages for Mac doesn't have the other additions introduced in iOS 10, including Digital Touch messages and the Messages App Store with sticker functionality. Users will still have to open their iPhones to send these types of messages, although macOS Sierra will better accommodate the visual placement of stickers and Tapback notifications than previous versions of Apple's desktop software. On the Photos side of things, the Mac version of the app will now have the "Memories" tab that was introduced in iOS 10. The feature intelligently curates photo collections based on location, date, and even the people within each image, and puts them all into new short videos for you to view. Although the feature is streamlined, users can choose to customize each Memory to their liking, similar to the Memories editing process in iOS 10. Some of the memory categories Photos surfaces includes Recent events, Last Week, Last Weekend, Year summary, Trips, Birthdays, and more. Users who have already set up their People album in iOS 10 will have to re-scan their image library in Sierra since facial recognition settings don't carry over between devices. There will also be an new "Places" album to see the location of every image you've taken on a world map. Other tidbit updates in Photos include a new "Brilliance" tool to improve photo detail through adding contrast and highlights, and Live Photo editing with filters and various other adjustment instruments. Third-party developers are also now able to use a Live Photo Editing API to create tools for editing Live Photos in Sierra. macOS Sierra is available as a free download on the Mac App Store starting today. Check out the MacRumors Sierra roundup for more information on the new operating system, and keep a lookout for the rest of our macOS coverage. The People album is a mess right now. Until it will sync to my other devices I'm not touching it. It is an awful lot of work to go through all the faces in a large library and group/name the people. To think about doing it for multiple devices with no guarantee long term it will sync or be reset. Yea, no thanks. Apple really screwed up by not having face sync across Macs and iOS devices not ready. I completely agree. I understand that Apple thinks that some people might think that the cloud storing "faces" is a security issue, but it is silly to use that idea to keep the rest of us that want that type of feature from being able to do it. It is highly frustrating that Apple has no system-wide "faces" feature that will sync faces across multiple devices. Makes it useless to spend hundreds of hours organizing the faces in my 40k photos if those faces won't sync to my other devices, and (worse) those faces are gone if I do a clean install. Just silly. Something not mentioned in the article, but once you install Sierra it starts a process called "photoanalysisd" that scans all your Photos images to recognize faces, dogs, whatever in your photos. You can see the process in Activity Monitor chewing up quite a few CPU cycles. If you start Photos before this index is done and try to look at the "People" group, it will show a window like this that the scan is still underway. So you want to quit Photos and leave your Mac awake until this scan completes. This screenshot was taken about an hour or so after the Sierra install, so it looks like the full index will take several hours. The fan on my older MacBook Pro ran most of the night on full speed to complete this. The bad part is, its done it now no less than 10 times with all the betas and GM updates and just the reloading of the OS during the test period after making enough changes to justify a reload. If this were stored post process it would just make life easier. I get the security, I love what they're doing with it, but if the photos themselves are already stored in the cloud along with everything else the issue must be the inability to reliably make sync work between devices. Agreed, but I'm sure it will come. Either stored securely in the cloud so Apple can't read the data, or passed directly peer-to-peer. I'm fine with either. Meanwhile, although I won't bother tagging most photos for face search on my iPhone, the feature is still VERY useful: you see a grid of the people it has found, already grouped together, even if you didn't name them. That's almost more useful to me than searching by typing a name anyway. My quick math: I have about 10k photos. I have groups of people that in their largest group start at 14. That goes for maybe 20ish groups before it goes to groups of 2 then 1. What I'm saying is, I bet I have roughly 4k or more groups of people that in reality will come down to 100 maybe? Ok, no issue, I will do the work over time to sort it out but what after that? I'm not complaining, really I'm not. I'm stating what I see so others will know before they dive in and spend tons of time on a feature that is not quite ready if they expect this to filter over to other devices. If all you have is a single Mac you might as well spend the time. I have several plus several mobile devices. The Mac version of Photos needs to have a way to restrict certain folders from showing up on mobile devices and also from showing up on the cloud. iCloud photo library cannot be an all or nothing proposition if they want it to succeed. The phone version of Photos needs to have a way to apply a hard limit on the amount of space that the photo library can take up on the phone and adjust compression accordingly. Yes, this is really missing and a huge drawback. But those Memories won't have these cool videos from iOS... Why? When I asked in an Apple Store today exactly why you can't play a video like on iOS, or how to remove photos from a memory without actually deleting it, I got what sounded like a pre-prepared default answer that "iOS apps are different to Mac apps". Hardly a resounding answer to leaving out two key features so it's a case of wait for a later version.